It was discovered recently that AMD's Athlon 200GE processor, which is regarded as a great budget option, can actually be overclocked despite being officially a locked part. Overclocking enthusiasts discovered that MSI, perhaps by accident, allows the 200GE to be overclocked on its B350M Gaming Pro motherboard. When AMD's Athlon 200GE processor launched, it was given much praise for being one of the cheapest CPUs on the market with good performance. With 2 cores and 4 threads at 3.2 GHz, as well as Vega 3 graphics (a small bonus), the 200GE was good for budget builders for light gaming or general PC usage. However, unlike all other Zen based processors, the CPU's clock multiplier ratio was locked, meaning it wasn't possible to get any noticeable overclocking out of it. Since the 200GE is based on Zen, it should be able to reach at least 3.8 GHz and likely 3.9. Thankfully, some observant and lucky overclocking enthusiasts were able to find a way. Youtube user TechEpiphany discovered that MSI's B350M Gaming Pro motherboard had, for some reason, clock multiplier ratio overclocking was not disabled for the 200GE and could in fact be overclocked just like any other Zen CPU. 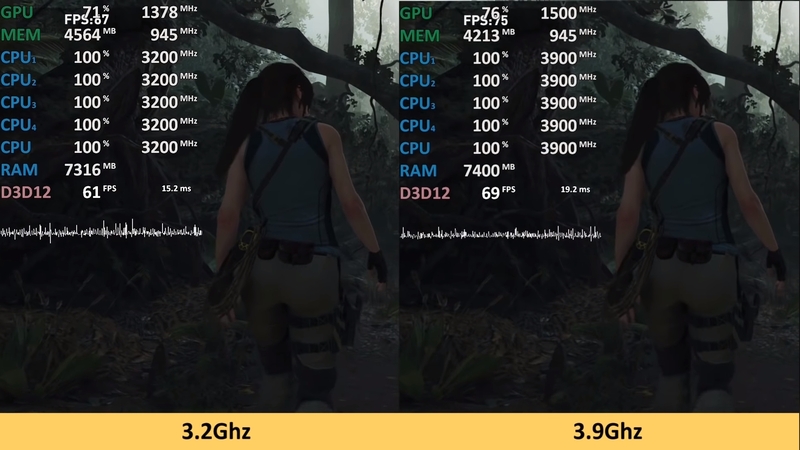 After overclocking the 200GE to 3.9 GHz, an increase of 22%, performance in gaming increased by 10% and sometimes more to around 20%. Now, in all of the tests TechEpiphany ran, the Vega 64 GPU used was still bottlenecked, but if someone were to pair the 200GE with something like a 1050Ti or an RX 570, the bottlenecking would likely be less prevalent. As a $55 CPU, the Athlon 200GE brought great value and for owners of the MSI B350M Gaming Pro it brings even more. At this time, it is unsure whether or not other MSI motherboards allow 200GE overclocking or if the update that allows it will come to other boards that do not allow overclocking the 200GE (update: any MSI board with the AGESA 1006 update has the ability to overclock the 200GE). That the 200GE can be overclocked is probably an accident, so it's likely that MSI won't be allowing this on other boards and will likely push out another BIOS update to fix what they might call a bug. For those who want to keep their overclocks, make sure you have a backup of this BIOS just in case future updates disable overclocking.